For the mosaic strip across the top I stamped two different pieces. For the olive image I made sure to stamp off on scratch paper first. 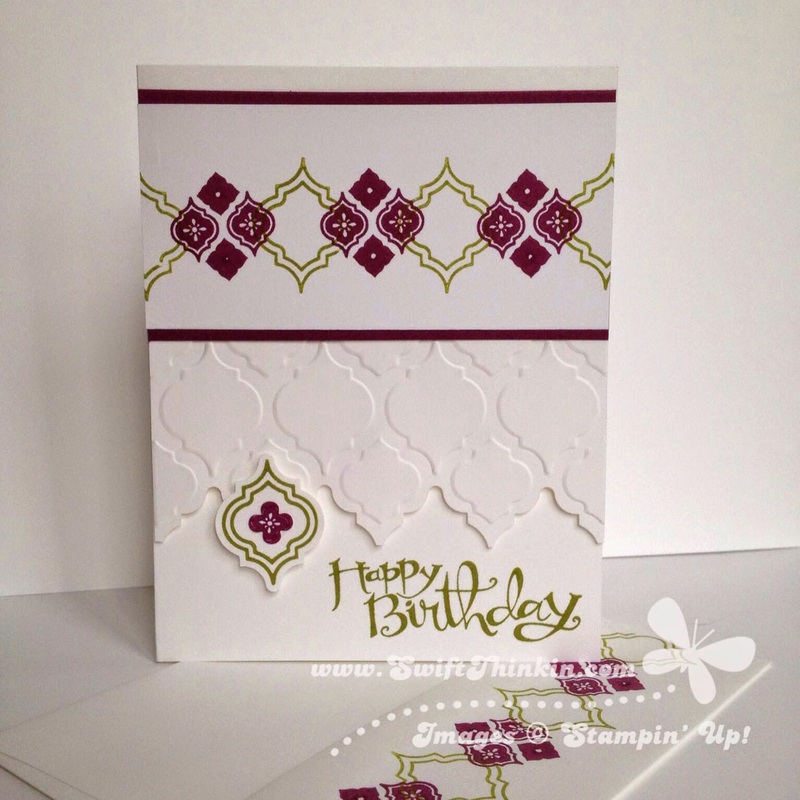 That way when I stamped over it with the razzleberry the overlapped areas didn't look murky. Hope you loved the Mosaic inspiration. Flutterby again soon!